When you get behind the leather-wrapped wheel of the 2019 Buick Encore, you’ll get to experience plush seating, nimble handling, and superb safety. Thanks to available intelligent all-wheel drive (AWD), you can confidently handle every turn, highway, and city street along the way. If you need to pick up a large package, fold down the front passenger and second-row seats to open up 48.4 cu. ft. of cargo space. 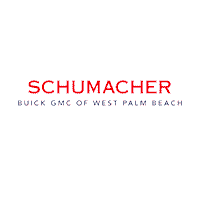 Visit Schumacher Buick GMC of West Palm Beach, FL, to test drive the new Encore.